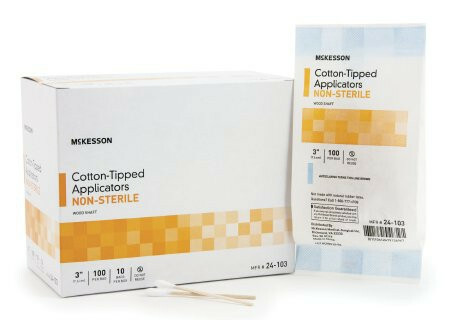 The McKesson Cotton Tipped Applicators, Nonsterile is a tool used in clinics, office and hospital facilities for a wide range of uses. The swabs are provided in 3-inch or 6-inch length and are able to reach deep back inside of a patients mouth or far up the nostrils for such procedures and are provided to fit your type of need. The shaft is made of wood, making it biodegradable for less of an environmental impact than its plastic counterparts. 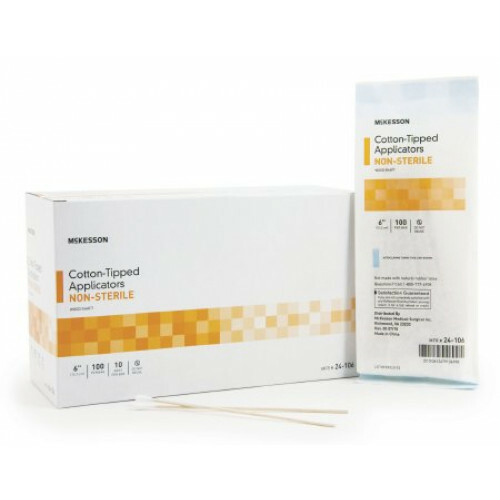 The cotton tip is absorbent, able to swab up and collect specimen for diagnostic tests. 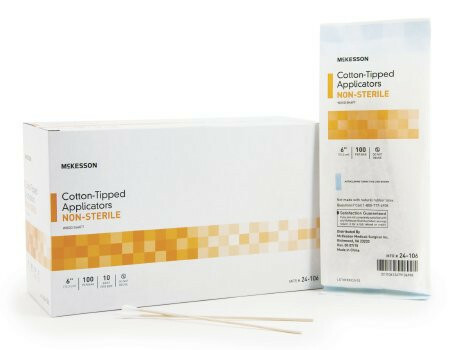 The swabs are made nonsterile, making them usable in most procedures that do not require a surgical opening or opened wound sanitation. No part of the swab is made with latex, they are free of latex material and can be used orally with patients regardless of latex sensitivity.